Reputation has always been an important asset, and with the advent of the internet, it has become even more far-reaching. What may have passed through word of mouth twenty years ago would have likely never made its way to family, potential employers, or neighbors, but social media and ubiquitous search have made drudge reports a bit too easy for comfort. With just a few keystrokes, it’s possible to find tons of information about almost anyone. Things like age, family status and gender are now essentially public information. Income levels, hobbies, religious affiliation and even everyday activities can often be reviewed and scrutinized with just a few clicks. It’s possible to improve an online reputation by creating positive new content and references, contacting the hundreds of “people search” web sites, and cleaning up social media profiles with a fine-toothed comb. That said, the process can take many hundreds of hours to do yourself, and it’s likely that you still won’t be done by the end of it all. Online services like the one at reputation.com seek to change all of this by allowing people an automated way to put in their name and have their information removed and modified from top search engines. They can give you a ranking of your current online reputation, and provide a list of pages where you may be mentioned or talked about. Often times, there may be several sources of negative information about a person, and the removal of those pages can be difficult without the proper knowledge and skills. An online reputation management service makes the entire operation much simpler. 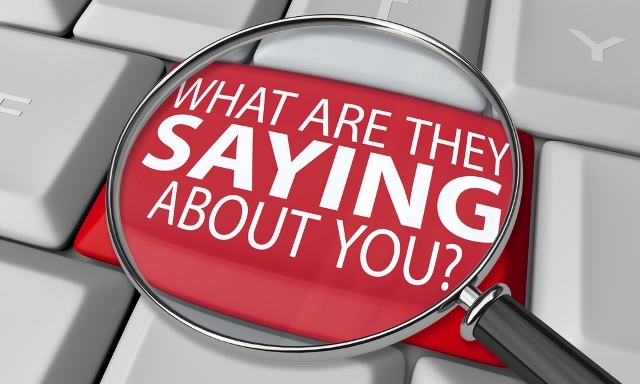 People everywhere are now scrutinized for their online postings and behavior. It’s affecting celebrities and government officials just as much or more than the average individual. Through intense and detailed analysis, these reputation management companies can monitor and track the reputation of a variety of individuals, businesses and even ideas. One of the most engaging ways to take in this information is through videos, and there are a large variety to be found on YouTube. It’s a fun and enjoyable way to take in the latest news, trends and celebrity gossip without having to read long articles or wait through commercials on the local evening news. For someone looking to find a new job, poor and negative search results could result in lost opportunities or even a missed interview. No matter how great your personality is, a prospective employer will have to look objectively at any results they find, and that could negatively affect their decision about you. The situation is even more grim for people operating their own business or providing public services. In addition to the big search engines, people may search for reviews on a variety of specialized web sites. These can be a valuable source of information, but any business person knows the relative value of a review. There are some good, accurate and informational reviews, but there are also many negative reviews based solely out of spite or ill will. For one reason or another, the client was extremely upset, and instead of taking it to you they tried to take away your business with a slurry of online reviews. This can be a very serious situation if you rely on word of mouth marketing, like many doctors, designers and lawyers. Online reputation management services can scour the web for these reviews and help to hide them from search results so people looking for a professional can find the real you that they’re looking for. No one can afford to ignore their reputation, and a great online reputation can be rewarding in all areas of life. By utilizing a reputation management company, anyone can make sure their online profiles and image are positive and encouraging to professional and personal acquaintances that decide to look them up. That’s an encouraging morsel to chew in the information age.